The Robert B. Our Company recently acquired the septic division of Capewide Enterprises precisely because we value the same qualities in the company that you do. Starting with the fact that we share the same uncompromising focus on our customers. You chose Capewide Enterprises to maintain your septic system based on their timeliness and expert service. After all, they have been serving their customers on the Cape for generations. If you don’t know us yet, The Robert B. Our Company is the area’s largest multigenerational family-owned and operated septic, site and utility construction company. For three generations, we’ve built a reputation for being fast, reliable and competitively priced for homeowners and businesses. We like to say we’re built on trust. And now, we’d like to earn yours. 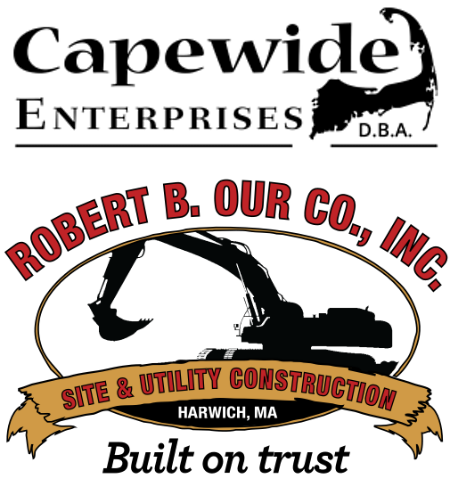 We wanted to assure you that although Capewide Enterprises is now a part of The Robert B. Our Company you won’t notice much of a change. Despite the new name on the trucks in your neighborhood, the team is still the same. The high level of service you’ve come to expect is the same. And the priority is always on you. Our newly combined company will be able to serve you even better. Now that we are the largest LOCAL septic installation/pumping/maintenance company on the Cape, we have more resources than ever. At Robert B Our, we couldn’t be happier to have the Capewide family join ours. If you have any questions or concerns, we’d love to hear from you.